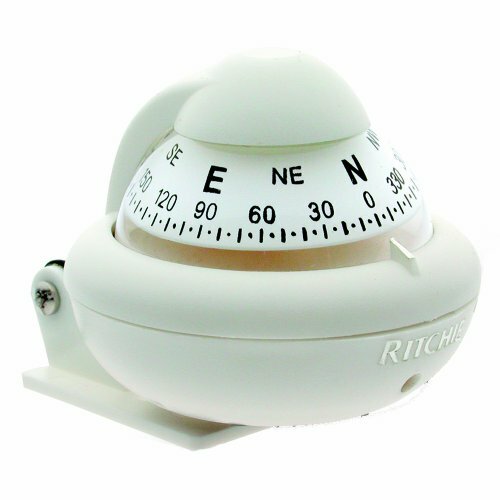 RitchieSport CompassRitchieSport Compass Features2" (5.08cm) Direct Reading DialEasily Installed, Fits Standard 2-1/16" Instrument HoleView Adusts up to 30 degreesScientifically Matched Sapphire Jewel & Hardened Steel Pivot Dial MovementExclusive Built-in Green NiteVu LightingHigh Temperature Composite Construction for Extended Operating RangeDirectiveForce MagnetsExclusive 5-Year Ritchie WarrantyApprox. Shipping Weight: 5oz (142g)Notes: X-21 Compasses do not have Built-in Compensators.Comes standard with 12V lighting. Some custom built OEM models may have different lighting. Contact Ritchie for replacement lighting. 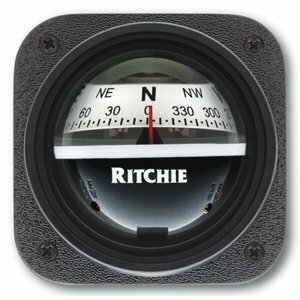 The Amazing Quality RitchieSport CompassRitchieSport Compass Features2" (5.08cm) Direct Reading DialEasily Installed, Fits Standard 2-1/16" Instrument HoleView Adusts up to 30 degreesScientifically Matched Sapphire Jewel & Hardened Steel Pivot Dial MovementExclusive Built-in Green NiteVu LightingHigh Temperature Composite Construction for Extended Operating RangeDirectiveForce MagnetsExclusive 5-Year Ritchie WarrantyApprox. 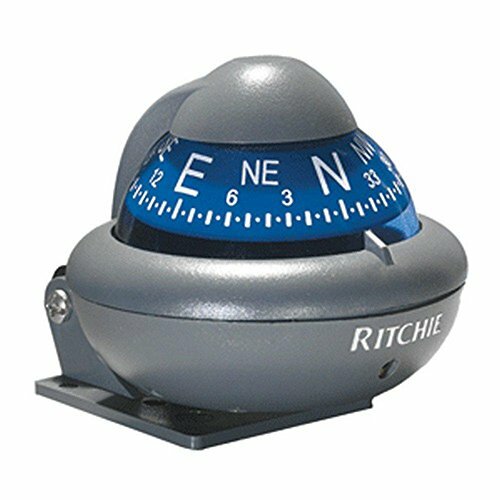 Shipping Weight: 5oz (142g)Notes: X-21 Compasses do not have Built-in Compensators.Comes standard with 12V lighting. Some custom built OEM models may have different lighting. Contact Ritchie for replacement lighting. 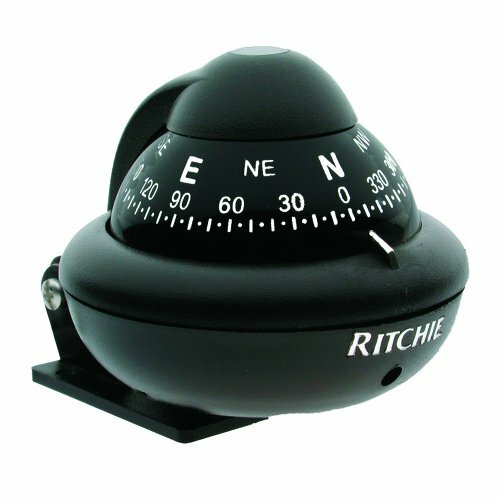 RitchieSport CompassRitchieSport Compass Features2" Direct-Reading, High Visibility DialsTwo-Sided, Self-Adhesive Mounting Pads IncludedReversible Bracket allows a mounting range of over 300 degrees from overhead, through angled and vertical mounts to horizontal surfacesThese mounting position options and your choice of mounting hardware permit mounting on everything from windshield or supporting frame structures, to slanted dashboards and consoles, to almost any flat, angled or vertical surfaceInternal Green Night LightingHigh Temp Composite Construction for Extended Operating RangeHardened Steel Pivot and Sapphire Jewel MovementBuilt-in CompensatorsExclusive 5-Year Ritchie WarrantyApprox. Shipping Weight: 5 oz. (142g)Notes:Comes standard with 12V Green LED all X-10's built between 1991 and 1999 use the part number RS-0004 XSP for replacement lighting. The Ritchie Sport bracket mount compass from Richie Navigation features a 2" direct reading, high visibility dial with internal green night lighting. The reversible bracket allows a mounting range of over 300 degrees from overhead, through angled and vertical mounts to horizontal surfaces and includes built-in compensators. 5-year warranty. White. 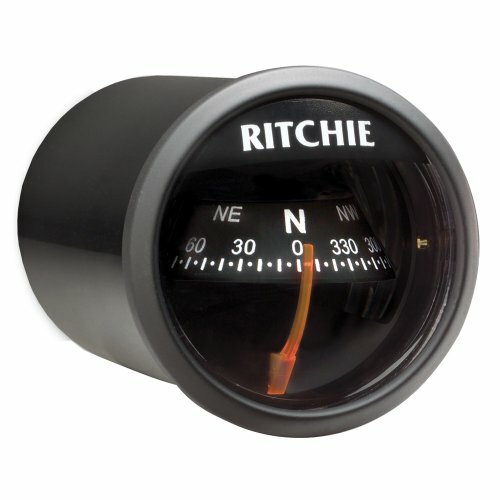 RitchieSport CompassRitchieSport Compass Features2" Direct-Reading, High Visibility DialsTwo-Sided, Self-Adhesive Mounting Pads IncludedReversible Bracket allows a mounting range of over 300 degrees from overhead, through angled and vertical mounts to horizontal surfacesThese mounting position options and your choice of mounting hardware permit mounting on everything from windshield or supporting frame structures, to slanted dashboards and consoles, to almost any flat, angled or vertical surfaceInternal Green Night LightingHigh Temp Composite Construction for Extended Operating RangeHardened Steel Pivot and Sapphire Jewel MovementBuilt-in CompensatorsExclusive 5-Year Ritchie WarrantyApprox. Shipping Weight: 5 oz. (142g)Notes:Comes standard with 12V Green LED lighting.For all X-10's built between 1991 and 1999 use the part number RS-0004 XSP for replacement lighting. Looking for more Ritchie Ritchiesport Compass similar ideas? Try to explore these searches: Comet Clutch Belts, Oblong Server, and Protection Plus Briefs. Look at latest related video about Ritchie Ritchiesport Compass. Shopwizion.com is the smartest way for online shopping: compare prices of leading online shops for best deals around the web. Don't miss TOP Ritchie Ritchiesport Compass deals, updated daily.